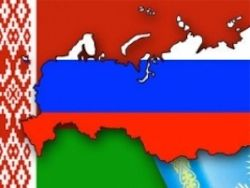 BelarusDigest > Myths > Is all Belarusian opposition nationalistic and anti-Russian? Is all Belarusian opposition nationalistic and anti-Russian? The Belarusian opposition is not more nationalistic than most of the population. Nearly all politicians use both Belarusian and Russian, and the majority of opposition groups support balanced relations with both Russia and the West. Opposition parties in Belarus represent the whole political spectrum – from pro-Russian former communists to pro-Western liberals. There are also several pro-government parties, including communists and liberal democrats. However, they do not have a clear ideology and almost never take a position contrary to that supported by Lukashenka at any given moment.